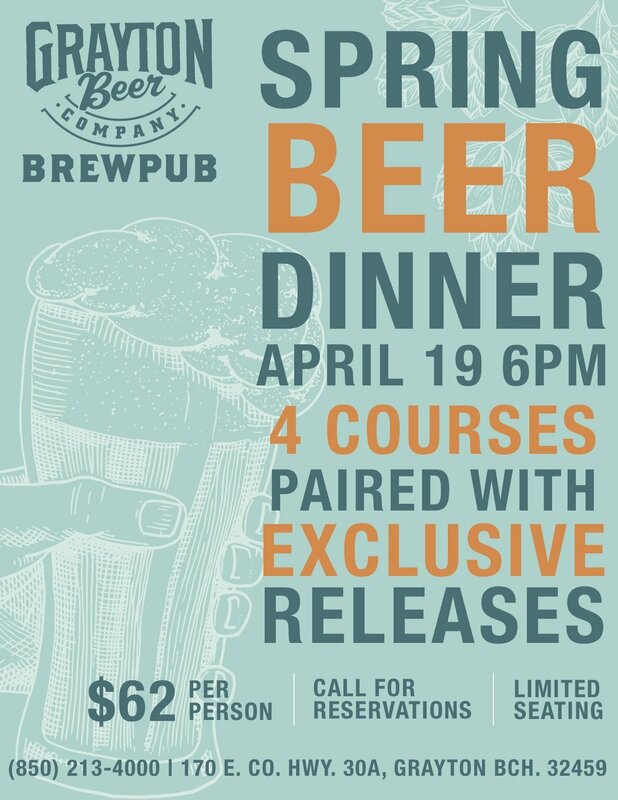 Friday, April 19, 2019 at 6 PM – 9 PM: Head Chef Scott Plumley and Chef de Cuisine Matt Penhollow will prepare a 4-course meal paired with four new specialty beers brewed from the Brewpub’s 7-barrel small-batch system. Head Brewer, Josh Gauger, will walk guests through the tasting notes of the new Pilsner, India Pale Ale, Saison and Honey Ale, each paired with a food course. This exclusive dinner, beginning at 6 p.m., will be the first introduction of these specialty brews to the general public. Cost to attend is $62 plus tax and gratuity. Seating is limited. To reserve, please call the Brewpub at (850) 213-4000.